And others turn them into music for your soul. A good book resonates with your heart. Good music resonates with your soul. So what happens when a talented songwriter pens a memoir? You’re taken one step closer to understanding life. That may sound a little over the top, but the pure emotion that flows from Alex Woodard’s For the Sender can hardly be contained within its small size. 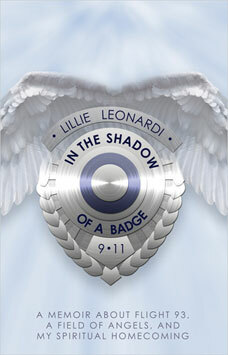 The short book and accompanying CD tap into rich veins of creativity, sorrow, pride, despair, and most of all, love. Woodard’s songwriting background brings a richness to his writing that allows us the honor of feeling our way through the story of his life, reveling in his accomplishments and crying with his tragedies. In fact, it only took me 14 pages into the book before I finally had to give in and get a box of Kleenex. Woodard’s life story and the letters of inspiration he used to write the book are both emotionally wrenching and life giving at the same time. The song lyrics he includes aren’t just poetic, they’re cathartic, helping move the reader through the sometimes-painful memories each song unearths. Since the universe is always on our side, it’s easy for me to see why this particular book made its way to me at this time in my life. Within the first few pages, I was hooked into Woodard’s storyline, feeling my own life mirrored in his discontent of dreaming for a better life for himself. While I’m not an aspiring songwriter or musician, I think he adequately captures the denseness of living a life that isn’t quite fulfilling. “These cold realities of the music business slowly begin to creep under my skin and some nights, as I lay alone in bed, I weave a make-believe coat of dreams as protection to keep me warm: dreams of ‘making it,’ dreams of having somebody to grow old with, dreams of little feet on hardwood floors. That imaginary coat of protection keeps the cold out, but it also keeps most of myself hidden from anybody else,” he writes. That metaphor creeps in and out of the storyline as Woodard takes us back a few years so we can understand his own state of mind as he learns to let go of the life he thought he should be living and accept the life he has. For the Sender is more than Woodard’s life story. It’s a story of how he came to accept and understand his life by reframing the stories of others through songwriting. Those stories come in the form of four letters he received over a period of several years and the 12 songs that were written from each letter’s inspiration. In all, the letters and songs connect us to Woodard’s life and our own stories, which are as natural as the world can be. Emily, who met her soulmate only to have him pass away. She began writing letters to her lost love and she included one in her letter to Woodard. The grief, despair, hope and acceptance in that letter made a profound impact on the songwriter. Woodard and some friends visited a homeless shelter for teens to inspire the kids and in the process became inspired by the center’s director, Kim. The story of her troubled youth and understanding of her own unique gifts is fodder for two songs. Alison is a medic who was one of the first responders after the devastating earthquake in Haiti. Her selfless devotion to the people of Haiti and her questioning of the will of God caused Woodard to reflect on his own faith. Katelyn was struggling to handle the demands of a newborn when her police officer husband was killed in the line of duty. Her resilience to move on touched Woodward and his friends as they wrote about the circle of life. Woven throughout the storylines of each letter is Woodard’s reflection on his own life. We see his anguish over the loss of his best friend—a black Labrador named Kona—who died in his lap. His companion was a benchmark for Woodard and his dreams and her death helped clarify where his life was headed. Until he received the first letter from Emily, he had concentrated solely on writing about himself, using songwriting as a form of self-expression and emotional release. The letters helped Woodard see life through a different filter: that of other people. He realized he could express the raw emotions of others through his songwriting and in the process, solidified his own thoughts and feelings on life and spirituality. Woodard’s reflection on the letters and his own struggles with life help him understand the shared experiences of everyone on Earth. He understands that the letters are written more for the sender’s benefit than for the receiver. Yet the ideas, emotions, hopes and dreams of the letters are so universal that they can be appreciated by anyone. Reading For the Sender, I felt privileged to peek into the creative process of Woodard and his friends. Like alchemists, the songwriters sifted through the words of each letter and distilled the bare essence of the sender’s souls. What remains is pure, clear insight into the human condition and a soothing tonic for understanding the world in a new way. From a self-development perspective, I enjoyed watching Woodard’s growth through the songwriting process and ultimately his own changing consciousness. His understanding of conscious creation comes through as he breaks down his own self-defeating thought processes and begins to understand his role in creating his life. “Under my breath I tell myself to stay out of the way and trust the process. Lately I’m finding that sometimes what I want isn’t really what I need and the right things seem to happen if I’m patient,” he writes as he begins to see the letters and subsequent songs take on a life of their own. Ultimately, he realizes that life is best experienced when he drops expectations, when he stops trying to control every detail of his life. That’s a hard concept to process, let alone experience, but he gets there one day while surfing in the Pacific. You don’t need to be interested in music or in self-development to find enjoyment in For the Sender. However, anyone with an interest in songwriting, creativity, spirituality or new age concepts will be pleasantly surprised by the storyline of this memoir and especially in the lingering buzz it leaves on the reader. For the Sender does tug on the heartstrings in a most blatant manner. I attribute this to Woodard’s poetic writing style that eliminates extraneous details in order to focus on the things that matter most to him and the women who penned the letters that inspired his songs. It’s a quick and easy read but is one that is sure to stir your own deep emotions and leave you feeling hopeful for the future. 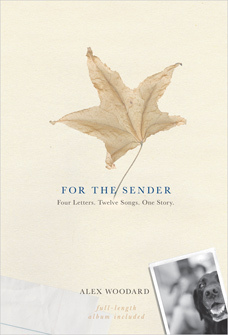 For the Sender is scheduled for hardcover release on September 18, 2012. A CD of the songs inspired by the letters is included and proceeds generated by the songs from each letter will be donated to a cause of the sender’s choice. I received this advanced copy of the book for free from Hay House Publishing for review. The opinion in this review is unbiased and reflects my honest judgment of the product. If finding happiness were only as easy as reading a book. All too often we look to our external world to provide us sources of happiness. We look to relationships, careers, money, and security in vain attempts to feel good about our lives and ourselves. This search for “something” is really the thinly veiled pursuit of happiness and it’s not as easy as it sounds. Just ask Julian, a vacationing schoolteacher in Laurent Gounelle’s The Man Who Wanted To Be Happy. During his final week of vacation in Bali, Julian seeks out a local healer in hopes of finding the source of his general malaise. Certainly there must be something medically wrong with him, he supposes. A quick examination by Master Samtyang reveals the problem: Julian is an unhappy person. Julian spends the next several days engaged in dialogue with Samtyang about the nature of reality, quickly learning the basics of conscious creation. His lessons include the biggest lesson of all, that your thoughts and beliefs create your reality. During his weeklong journey into conscious creation, Julian finds himself where many others do when they’re first introduced to self-development concepts. He understands them on the surface—intellectually—but struggles with feeling them emotionally and fully integrating them into his experience. He is in the first stages of re-creating his life from a new perspective, using his newly acquired concepts to guide him along the way. Julian is quick to understand the lessons he is presented with. In a few instances, the homework Samtyang assigns leads to a deeper understanding of key concepts and helps Julian begin to shift his perceptions to a new way of approaching life. Some readers learn best through storytelling and for them, this is an excellent introduction to the key points of conscious creation. The clear language and straightforward dialogue between Samytang and Julian provide a framework for the lessons and offer a quick-look at the concepts without much depth. The tropical setting of Bali gives a luscious quality to the storyline, helping the reader understand why our main character is suffering from unhappiness in one of the most beautiful places on Earth. Readers familiar with self-development and new-age theories, however, may find the lessons too basic. Julian seems to anticipate the proper responses for each of the questions Samtyang asks, which sometimes seem out of place for a Westerner not familiar with such topics. In addition, the lessons themselves serve only as a basic outline; there is no depth to each point. Julian’s story is not unlike many people who have started on the new age path. He begins to understand the finer points but we don’t see the struggle that will ensue as he attempts to integrate conscious creation into his life. That part of the learning curve—integrating the material into daily life—is the bulk of this work and is some of the hardest and yet most rewarding. Those readers interested in new age concepts and self-development will benefit from an exposure to the concepts presented. Like seeds, the concepts presented are best planted and then nurtured through individual reflection and experience. While I enjoyed The Man Who Wanted To Be Happy, I felt the book was lacking depth into the both the subjects lead character’s story arc. Although we can see how Julian struggles with the concepts when he’s alone, we can’t see what kind of impact the lessons will have on his life. I do appreciate the examples Master Samytang brings up with Julian’s search for happiness. There are few gems in the material regarding Julian’s thoughts of changing careers that many may find useful. Even though the concepts are simplistic, the material is there and available as a good reference or refresher for the reader. We come to understand that Julian has started a journey, a journey towards finding happiness. And as many have surmised already, this is a life-long journey that takes a considerable amount of time and effort. There is no Hollywood ending for the story, which feels a bit more natural and lifelike than other possible endings. In all, this is a good introduction to conscious creation, presented in a fictional format, which makes it more relatable than some non-fiction works. But like any good workbook, the information must be applied through study, reflection and integration in order to make a useful impact. I received this book for free from Hay House Publishing for review. The opinion in this review is unbiased and reflects my honest judgment of the product. United Breaks Guitars is the written follow-up to Carroll’s YouTube video and is an intriguing story that will certainly be of interest to anyone involved in customer service, public relations and social media. It is also an excellent example of how applying conscious creation concepts to a challenge can yield fruitful results both in the marketplace and in life. After Carroll discovered his broken guitar, he spent almost a year trying to get compensation from United Airlines for repairs. At each step, he was turned away, the result of a poor customer service policy that favored United and not its customers. As his frustration mounted, he began searching for ways to share the experience with others that would cause United to take heed. Rather than turn to legal action, Carroll decided on the one area he knew best: music. He vowed to write a series of songs and make corresponding videos to be placed on YouTube. The first song, “United Breaks Guitars,” was posted on July 6, 2009 and took only days to reach a million viewers, his original goal. In that first week, his message reached around the world and he became sought by media outlets to talk about the experience. The idea worked, prompting United Airlines to engage him in conversations about the experience and the video. But perhaps more impressively, the United Airlines stock price actually dropped as a result of the video’s success. It’s fair to note that United did finally own up to the mistake, apologize for it and offer compensation for the repairs. Today, with more than 12 million hits on YouTube, the video trilogy continues to gain steam while Carroll has become a sought-after speaker and consumer advocate. United Breaks Guitars dissects the experience in minute detail and gives readers a chance to understand the circumstances, the musician and the social media phenomenon that resulted from one mishandled piece of luggage. Overall, this is an excellent account of Dave Carroll’s United experience and is useful for anyone interested in or working in customer service, social media, branding or the music business. It’s a quick, easy read and gives the audience a thorough look into the implications of social media in the marketplace and the ability for one person to truly make a difference. The book, however, may also be of interest to readers familiar with new age concepts. When I saw United Breaks Guitars on the Hay House review website, I was intrigued: why is Hay House—the largest publisher of self-development books—producing a book about business, customer service and social media? I must admit I hadn’t heard of Carroll’s experience prior to seeing the book title, but a quick read of the description convinced me I’d like to learn more. As a public relations/marketing director by day and conscious creator writer by night, the book seemed right up my alley. The main storyline of UBG is certainly applicable to general business. Parts of the book read like a university textbook on customer service 101 and what can go wrong when businesses don’t take care of their customers. But it’s the understory of UBG that gently leads readers to understand the power one person can bring to the marketplace—and the world—with a good idea and a cause. That respectful nature was part of a larger approach, which Carroll describes as “non-confrontational.” Like many authors in Hay House’s catalog, the singer/songwriter realized that coming across as bitter and rude wouldn’t really get to the heart of the matter and could actually escalate the tension further. With a good idea in place, Carroll enlisted the help of family and friends to make his music videos and all were more than happy to help. After all, many people at some point in their lives have had a bad air travel experience and most people thought this would be an excellent way to get United’s attention. Also, his musician friends were very supportive, knowing how important the instrument was to the performer. He was on to something big. “Call it intuition, but I absolutely knew that I was at the start of what would be a very long process, so I made two vows to myself that day: first, I would not give up until this matter was resolved to my satisfaction; and second, I would never lose my temper in any of my interactions. I would do my best to be respectful to everyone I encountered, knowing that they were simply trying to do their job within the rules they were given,” he writes. Carroll obviously understands new thought concepts and applied them (knowingly or unknowingly) to the situation at hand. His grace-under-fire handling of the customer service issue cut through months of deadened leads and caused an airline—and the world—to stand up and take notice. As the video gained popularity and Carroll began doing media tours, he quickly understood how letting go of results and remaining focused on his goals would help move things forward. That approach would allow the songwriter to take advantage of synchronicities that came his way, including friends and strangers donating time and effort to make the videos and help him with his new career as a consumer advocate. The first video became successful so quickly that Carroll was forced into the limelight with little or no direction. He was pioneering a new way of taking on a giant corporation through social media and the idea was working. What becomes immediately apparent when reading UBG is Carroll’s understanding of the power new age thought. While so many in the main stream media turned the story into that of “one guy taking on a giant corporation,” Carroll focused on doing the right thing for himself, United and seemingly-powerless consumers everywhere. At each step in the story, the musician kept a clear head and remained focused on telling the story the way he wanted. He stuck to the facts, letting others draw their own conclusions about United or about customer service, and in the process, reveals to the reader what happens when a nice guy is compelled into action. Millions understood the frustration, anger and bewilderment he felt with the United experience and he’s received email after email of similar stories. He’s been recognized in airports and venues around the world as the “United guy,” and he’s been able to focus that popularity into new ventures. In addition to his music, Carroll has launched a secondary career as a consumer advocate, sharing his United story with audiences and also helping co-found the website Gripevine (https://gripevine.com), where frustrated consumers can post messages to businesses large and small in hopes of getting satisfaction. He’s become an ombudsman of sorts, standing up for the little guy and leveraging his new contacts to help businesses learn to take care of their customers. He also used the theory of “pay it forward” as he found success with the YouTube version of UBG, donating United’s financial compensation to people and organizations that needed a little extra boost. The video and corresponding story have since been used by organizations large and small as training material about customer service and social media. This is a deceptively complex manuscript. Carroll’s clear and simple writing make it a quick read yet the story line allows for different audiences to each get something out of the book. Business-type readers will appreciate the ramifications of social media on the bottom line; consumer advocates will resonate with his ability to get United to act; while personal-development readers will take home examples of living a consciousness-centered life. While you’re at it, check out Carroll’s first “United Breaks Guitars” YouTube video or check out some of his other music. In particular, “Now” is a beautiful ballad based on the work of Eckhart Tolle and other new thought pioneers.